Fit and finish are the trademarks of our heather zip hoodie. It is the perfect lightweight sweatshirt for all occasions. Offers a fitted body with french terry interior and natural-colored exposed zipper tape. Available in fashion forward colors ensuring you look great, while staying warm. Lightweight construction perfect for layering on a cold winter day or as a stand alone on a brisk morning. This sweatshirt is an all season favorite. 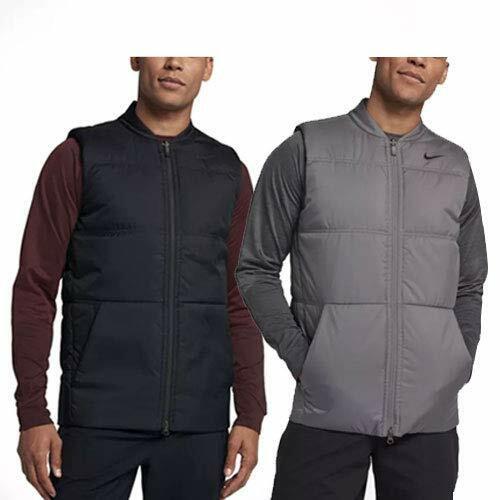 WARM AND WATER-REPELLENT - The Nike Men's Synthetic-Fill Golf Vest combines a water-repellent finish with synthetic insulation for warmth, even when wet. A drop-tail hem and split kangaroo pocket offer course-ready details. 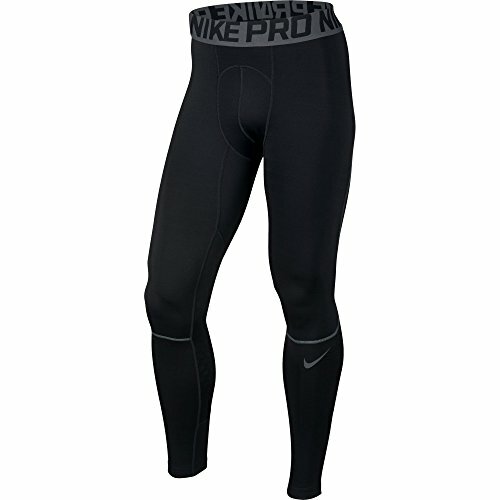 Layer with the warmth of Men's Nike Pro Hyperwarm Tight. The locked-in fit prepares you to perform with a 3-D structured fabric and Nike Pro Hyperwarm technology for fast sweat evaporation and thermal mesh for breathability. Nike Pro Hyperwarm technology combines targeted warmth with sweat-wicking power. Engineered mesh for breathable warmth. Knit construction gives a soft feel and striped look. The TGW Tour 1/4 Zip Pullover is designed as a comfortable layering piece with golf-specific performance. Moisture-wicking performance fabric keeps you dry and comfortable. Breathable fabric regulates temperature for the best feel all round long. 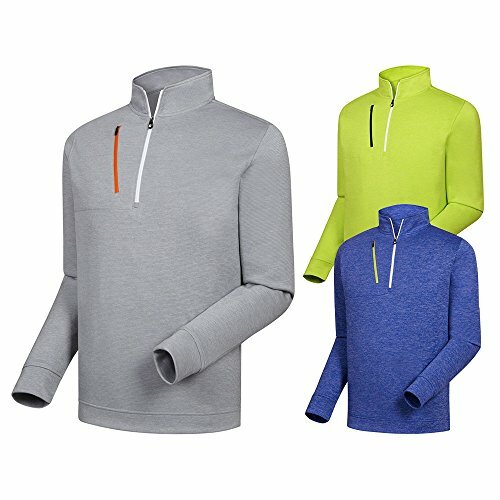 Quarter zip design is easy to adjust and ideal for layering on and off the course. This pullover is ideal for all golfers in cooler weather as layering is the key to keeping warm without sacrificing golf performance. 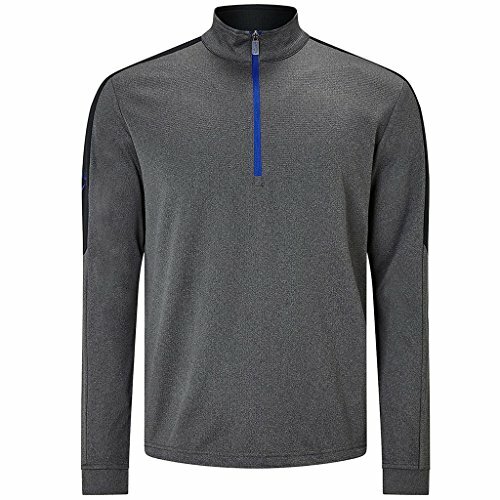 Callaway Golf Clothing Size Guide Layer up with the Callaway 1/4 Zip Lightweight Fleece Pullover w/ Linear Print and embrace those chilly-morning rounds. Lightweight fleece-lined fabrication delivers all-day comfort. Moisture-wicking performance moves perspiration away from the skin to dry quickly on the surface. UPF fabrication protects skin by blocking harmful Ultraviolet A & B rays (UVA/UVB). Added stretch for a wider range of motion. Stand collar with quarter-zip closure. Long sleeves. Pullover design. Straight hem. Callaway Tour logo on left sleeve. 88% polyester, 12% elastane. Machine wash, tumble dry. Imported. Measurements: Length: 28 in Product measurements were taken using size MD. Please note that measurements may vary by size. Protect your game (and your body) against the elements. Pwrwarm technology retains your body heat to maintain an optimum body temperature. Added benefits include warm cell engineering and front pockets to secure your belongings. Gear up and get out there this golf season. A soft sweater designed for cold-weather rounds. Dial in your driver as the temperature drops. 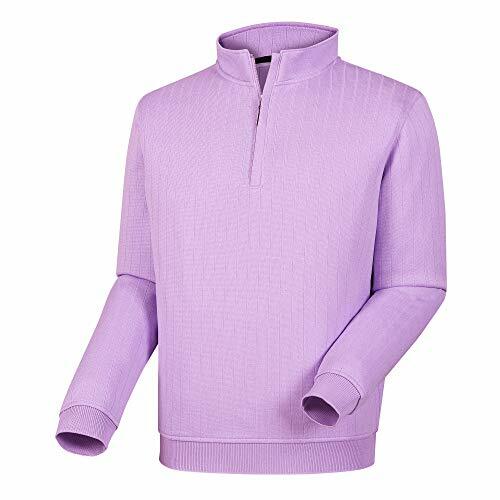 This men's golf sweater features knit fabric to keep you warm, and ribbed cuffs and hem for a comfortable fit. The tonal 3-Stripes on the chest gives a sleek look. Ribbed crewneck. Ribbed cuffs and hem. Slip on a beroy Men's zip up vest with zipper pockets before hitting the road if you know what's really good. Expertly designed for outdoor sports or casual wear or base layer during winter months. This mens sweater vest jacket is an essential component of any athletic man's cold weather wardrobe. 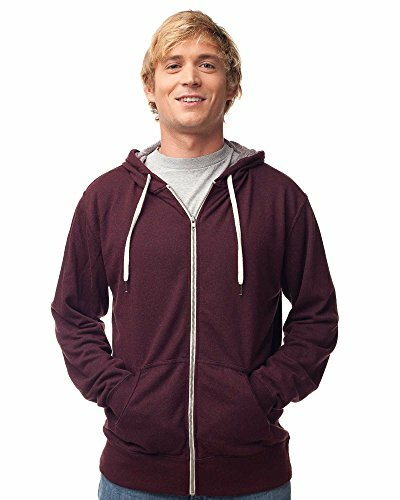 The sweater warm fleece material is extremely soft & comfy, provides long lasting warmth and comfort. Our mission is 100% customer satisfaction. If you get the wrong size, you can return or contact with us ,no questions asked. What are you waiting for? Order yours now! 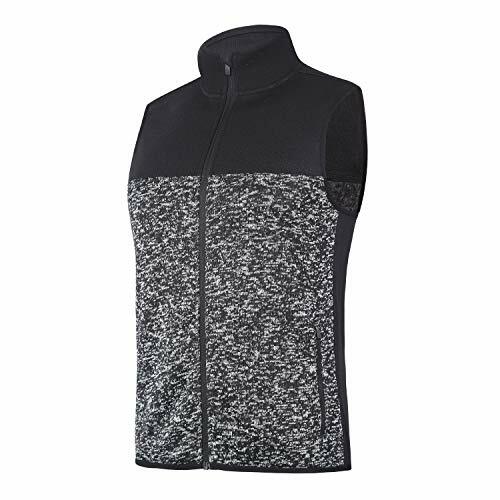 The Lightweight Softshell vest achieves the perfect balance between performance andstylish comfort. Browse golf outerwear with FootJoy today! This 3-layer knit waterproof laminated fabric keeps you dry in a light mist or rain. 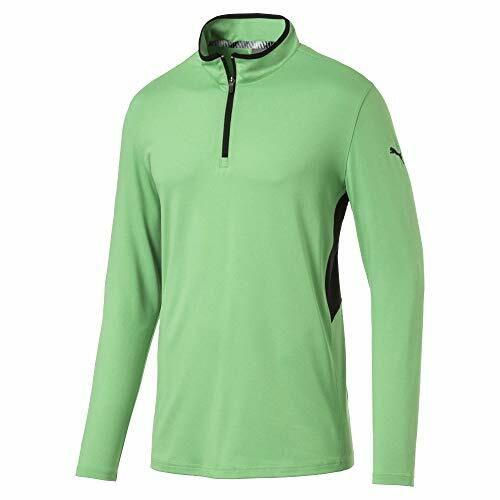 Looking for a stylish pullover to keep you warm while playing golf and other outdoor activities? Double Brushed Fleece Fabric for added warmth and insulation. 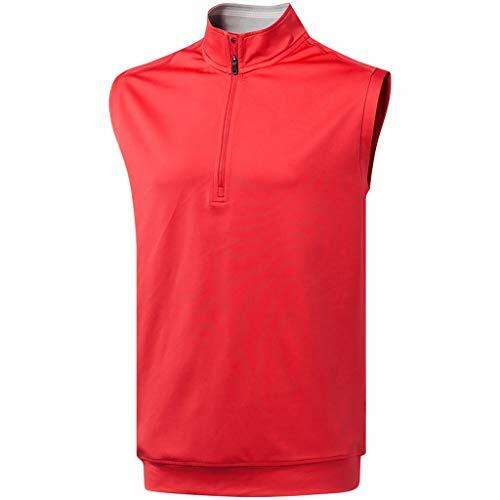 100% Polyester Material is extremely light and breathable, keeping you cool and comfortable on the golf course while also protecting you from the wind. Dry Fit Technology wicks sweat away from your skin, keeping you dry while you're getting your game on. Water-Repellent Finish to help repel light rain from soaking and seeping through to your clothes and body. 2-Way Stretch Fabric moves with your body, giving you complete freedom and mobility during your swing. Athletic Fit gives you that cool form-fitting look without being too tight. Long Sleeves and Mock Chin Zip gives you full-body protection from the wind and sun. Six Bold Color Options and a sleek two-tone design might make these the most stylish golf shirts you've ever worn. Whether you're playing a casual round with your buddies, going out for a nice dinner, or just hanging out casually, these golf pullovers will give you that distinguished, classy-yet-sporty look for any occasion. Click "Add to Cart" and take your game to the next level. We're confident you'll love these pullovers, or you can return them for a full refund - no questions asked. DOUBLE BRUSHED FLEECE FOR ADDED WARMTH AND INSULATION - This double-brushed microfiber mock neck fleece pullover was designed to keep the cold out and the warmth in while insulating your body from cold air and wind. Not only that, it's extremely breathable so you won't have to worry about overheating. 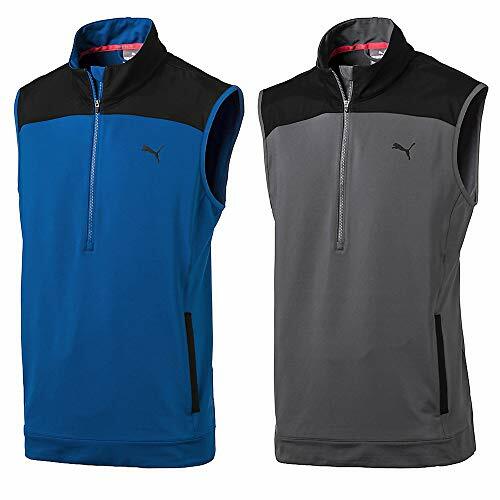 Ideal for golf, casual wear, and other cold weather activities. DRY FIT TECHNOLOGY AND WATER REPELLENT - This windbreaker sports sweatshirt is made with moisture wicking fabric which draws sweat away from your skin, keeping you warm and dry on and off the golf course. Not only does this half zipped pullover keep you dry from sweat, but the outer material blocks wind and repels light rain from seeping through. 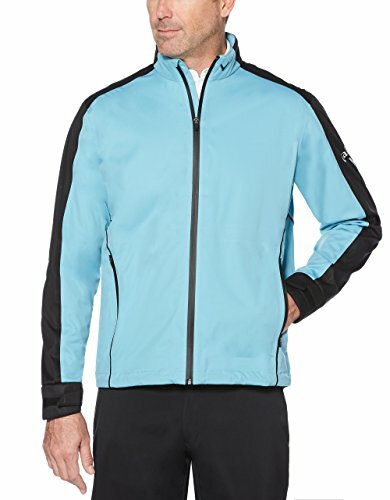 TWO WAY STRETCH FABRIC - This men's jacket is made with a highly elastic polyester material that stretches and moves with your body allowing you to move freely and rotate perfectly during the golf swing without any restriction. 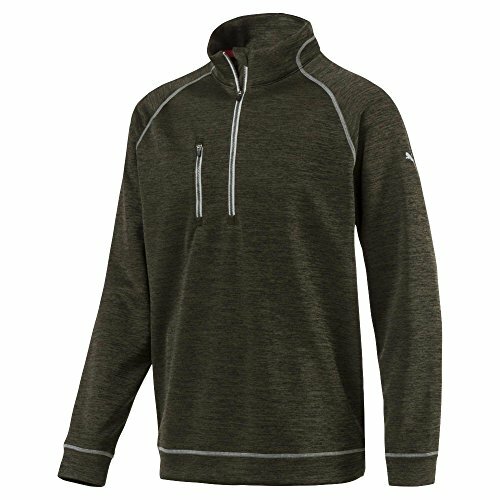 HALF ZIP MOCK NECK - Convenient half zip design allows for easy on and off action. The zipper zips up to your chin, protecting your neck from the cold wind and keeping the warmth in during those chilly rounds. 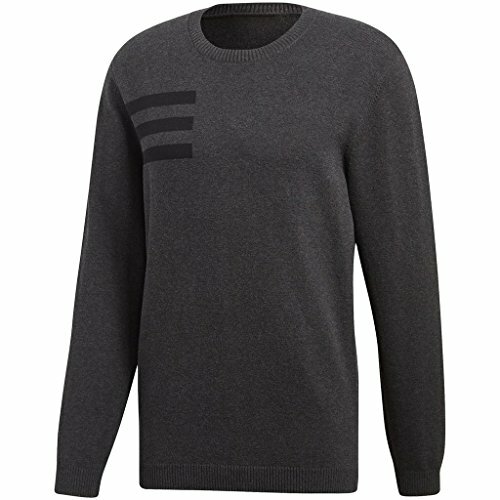 ATHLETIC FIT AND SLEEK DESIGN - This quarter zip sweater has a cool athletic look without it being tight or constrictive. It actually contours to your body to keep you warm and maintain the perfect temperature. 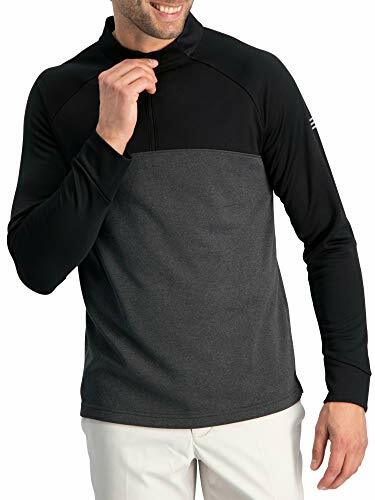 Additionally, the sleek two-tone design makes these pullovers excellent for golf, running, work, and everyday casual wear and super easy to match with a variety of different colors. Brand: Three Sixty Six | Manufacturer: Ink Slate, Inc. The rotation 1/4 zip is the 1/4 zip you've been looking for. It's lightweight and moisture wicking fabric will help you drop those putts all day long. And with so many color options, 8 to be exact, you can just throw them into your weekly rotation. DRYCELL Technology-Draws sweat away from your skin to help keep you dry and comfortable. PERFORMANCE FIT-A slightly wider fit in the shoulders, chest and sleeves to ensure maximum comfort and freedom of movement during play. UV Protection-UPF 40+ provides the ultimate sun protection rating. Allows 1/40th of the sun's UV radiation to pass through it. The pwrwarm heather 1/4 zip is engineered to perform. Thermoregulation allows the body to maintain its core internal temperature on and off course. Added features include warm cell technology and UPF 50, allowing only 1/50 of the sun's UV radiation to pass through it. Tee it up in style with this comfortable, high-performance look. 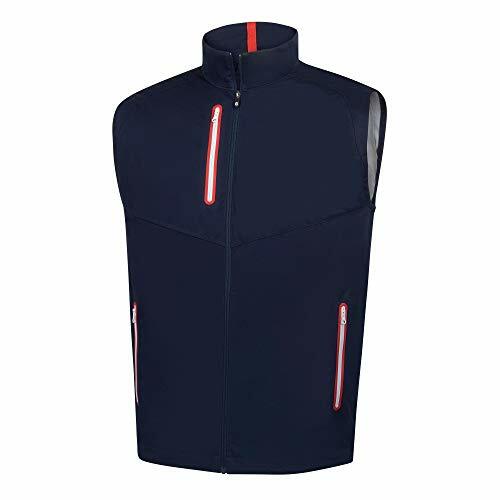 Callaway continue to set the trend in golf clothing, stylish and comfortable the latest winter range of Callaway golf clothing will keep you looking smart and warm on the golf course. The evoke 1/4 zip features our evoknit technology that is soft, lightweight and seamless. If you're looking for something to keep you warm and will look good with any outfit, this one gets the job done and it comes in 6 sleek colors, choose wisely. EVOKNIT Technology-Knitted designs feature seamless, body-mapped ventilation or engineered stretch construction for unrestricted range of motion. TAILORED & EVOKNIT FIT -A slightly leaner cut through the chest and shoulders for a more sophisticated fit. All polos feature stretch materials to ensure freedom of movement during play. 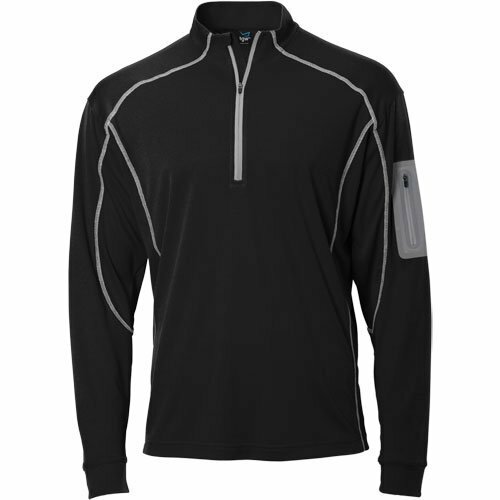 Performance Half-Zip Pullovers allow the player to adapt to changing weather conditions. This performance pullover helps keep your core warm while allowing free range of motion throughout the golf swing.